Hello!! Are you just finishing up your Spring Break, about to begin yours, or did you just finish your first week back? We just finished our first week back from Spring Break, and Monday morning was ROUGH! I don't know about you, but it's hard on this mommy's heart to go back after being home with my sweeties for a whole week! These kids are SO goofy. 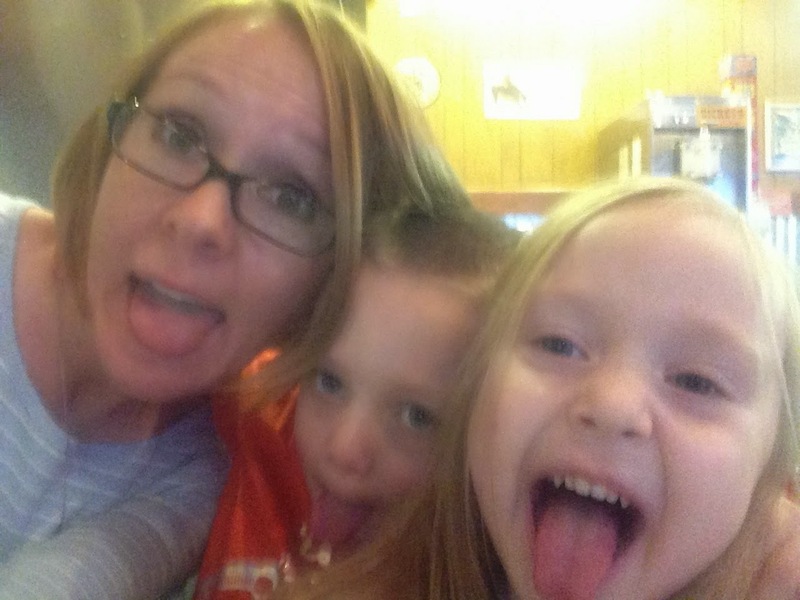 I have no idea where they get it…NO one in my family is goofy!! 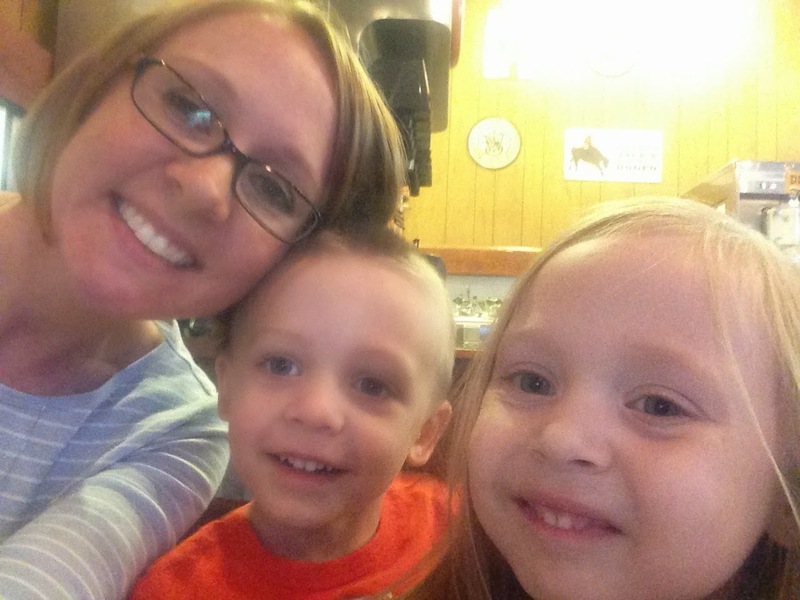 Well, I am linking up with Kacey over at Doodlebugs to give you a little peek into my week. Here's my Five for Friday. 1. I mentioned before Spring Break that when we returned, we'd be starting division. Well I am excited to say, division was a success! I was SO pleased! The key was keeping it completely concrete to begin with, then integrating pictorial models with their counters, and then having them draw their own pictures after using counters. We did a a cut and glue matching division activity at teacher table. 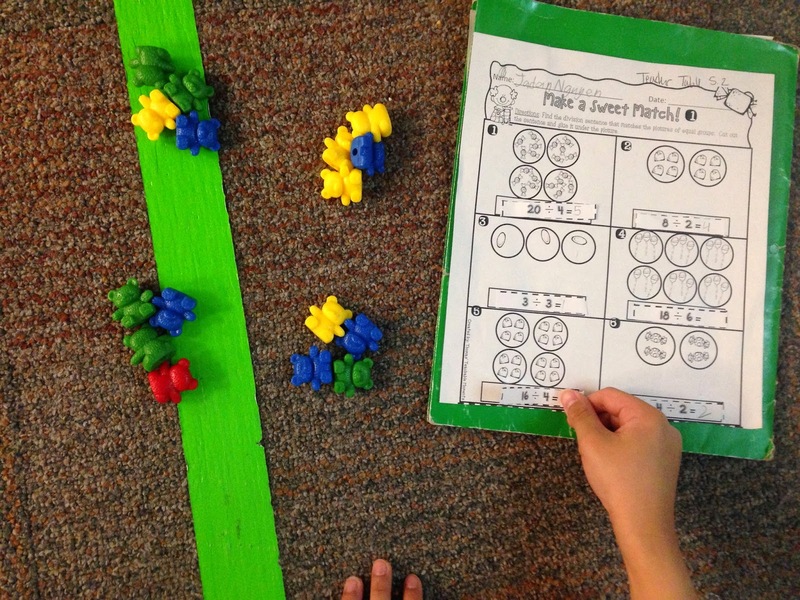 The students practiced taking a total amount from an equation and then using bear counters to divide them into groups. Then they looked at their groups of bears and found the picture to match on the activity sheet. 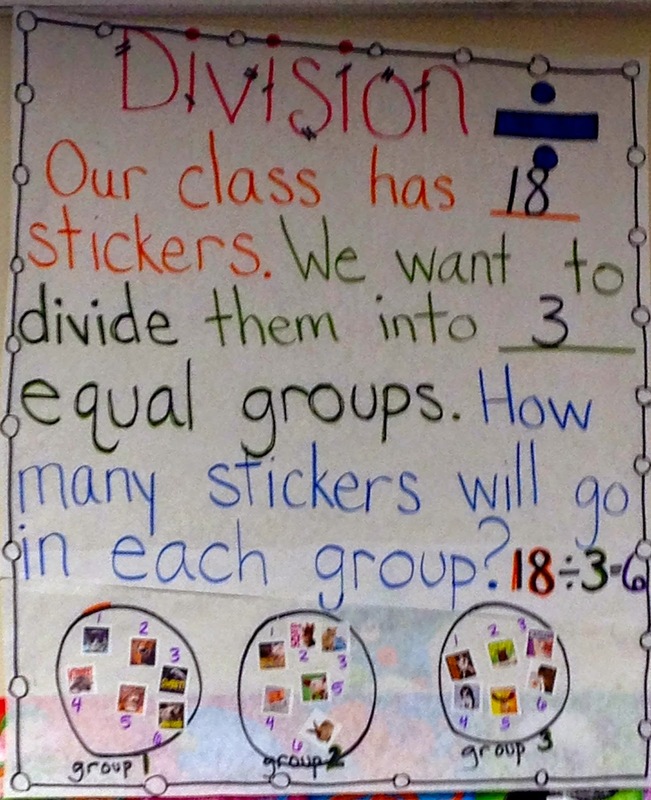 The mixture of concrete and pictorial really helped them understand the concept behind division. A few even said, "This was easier than I thought it was gonna be!" It was a fist-pump-worthy moment. We also made an anchor chart together. Each student was given one sticker. Then we counted how many students were in the room (18) and I chose an amount of groups to divide them into that I knew would divide evenly. I drew 3 big circles at the bottom of our chart and one at a time, each student came to the front and put his or her sticker in a circle. 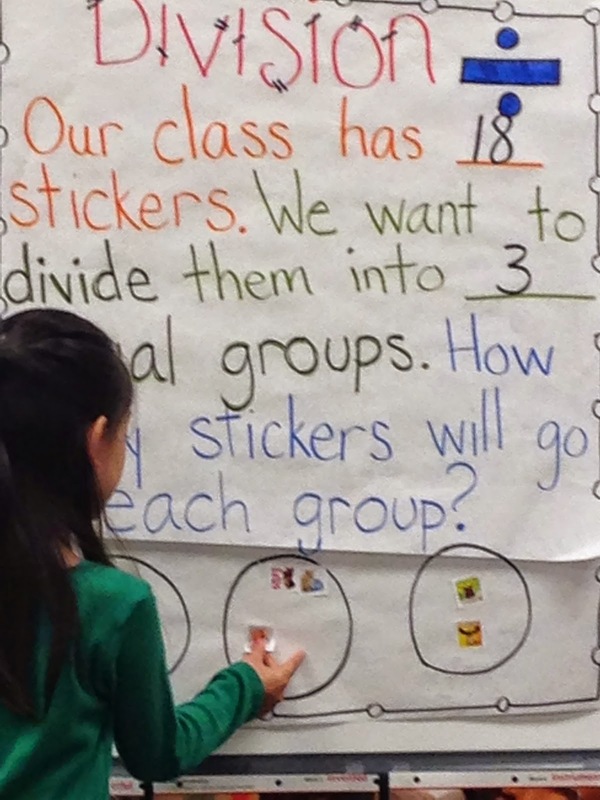 When each child was finished, we counted how many stickers we divided into each group. Here's the finished product. I apologize for the picture. I need to learn to bring my real camera with me to school instead of using my phone! Here's a picture of the activity we did where the students made equal groups using arrays. After working with counters so much, they were ready to use pictures to help figure out how to write a division sentence. 2. 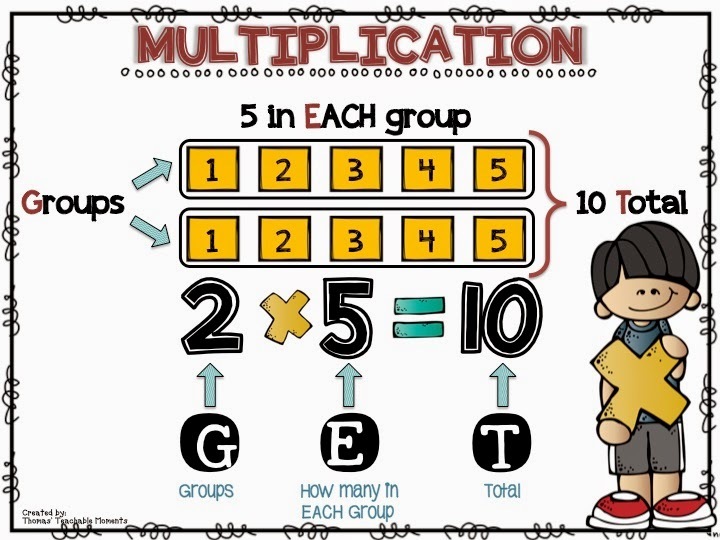 I am not sure where I learned this acronym for multiplication, but it has been a tremendous help in getting my students to write multiplication and division sentences. I taught my kids two acronyms - one for multiplication and one for division. 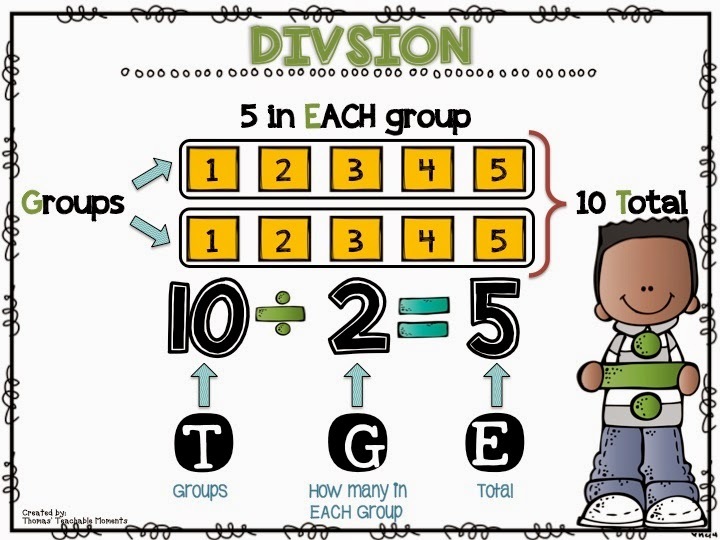 For a multiplication number sentence, they spell GET and then look for the numbers that coordinate with each letter. For a division sentence, I told them start by thinking of GET, then just move the T to the front. So they spell TGE and then look for the numbers that coordinate with each letter. 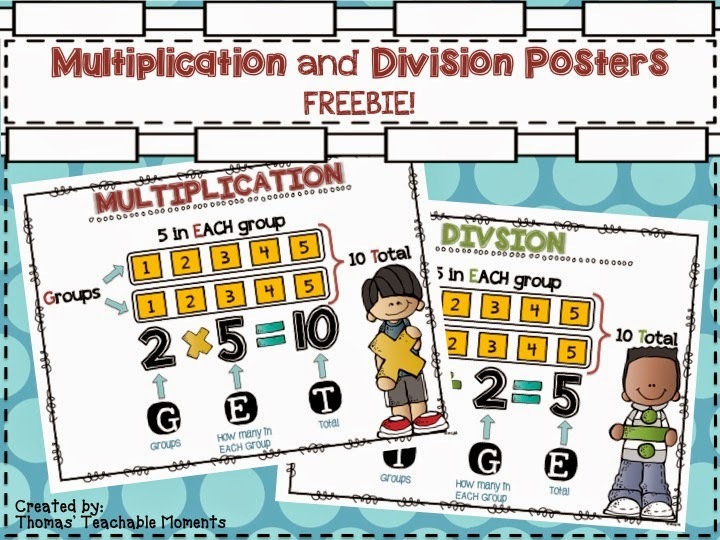 Click on the picture below to get your free posters! 3. Our school had our annual math and science night this week as well! Since it is currently March Madness, we had a sports theme this year and called it "Math and Science Madness." Each grade level took a different sport - we chose baseball! We decorated our hall like a ball field with stands on one side and the field on the other. The kids each made a portrait of themselves and we put them in the stands. Here's some cute pictures of their hard work! 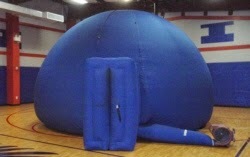 We had the Fort Worth Museum of Science and History bring their traveling planetarium - Astronomy on Wheels. It fits about 30 people at a time. We had them come last year as well. It was such a success we asked them to come again this year! I was in charge of the MVP Apps room. I demonstrated for parents some quality apps that we recommend using with their kids when they are at home. There are hundreds of thousands of apps out there and it can become overwhelming trying to sift through quality educational apps. 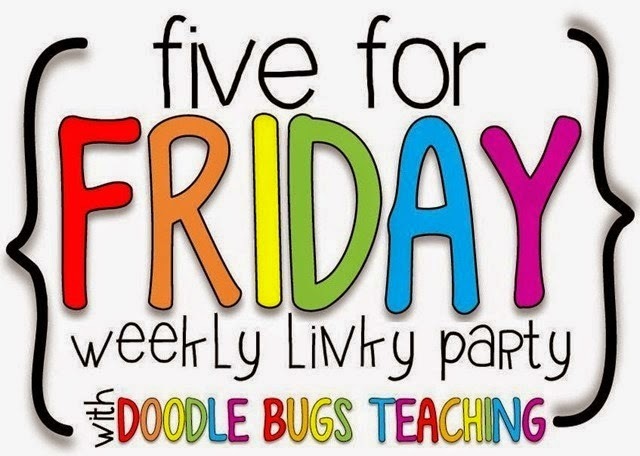 Thanks to Cara Carroll at the First Grade Parade, I found a post from her from a while back that shared lots of good apps she uses in her classroom. 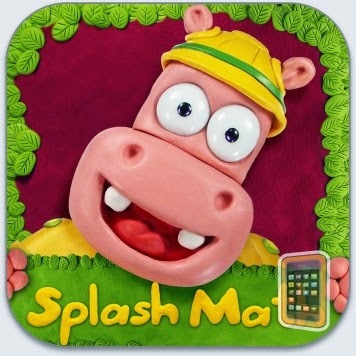 Two of the apps I showed parents were Splash Math and Teach Me. Click below to see these apps! We also had Problem Solving Lounges and different Science activities around the building. After each student visited at least 3 rooms, they went into a drawing for a free pass to Urban Air. 5. This week, we are going to begin talking about graphs. Look for pictures to come of my new NO PREP graphing unit in action! You can find it by clicking on the picture below. That's my Five for Friday! Have a fantastic week! 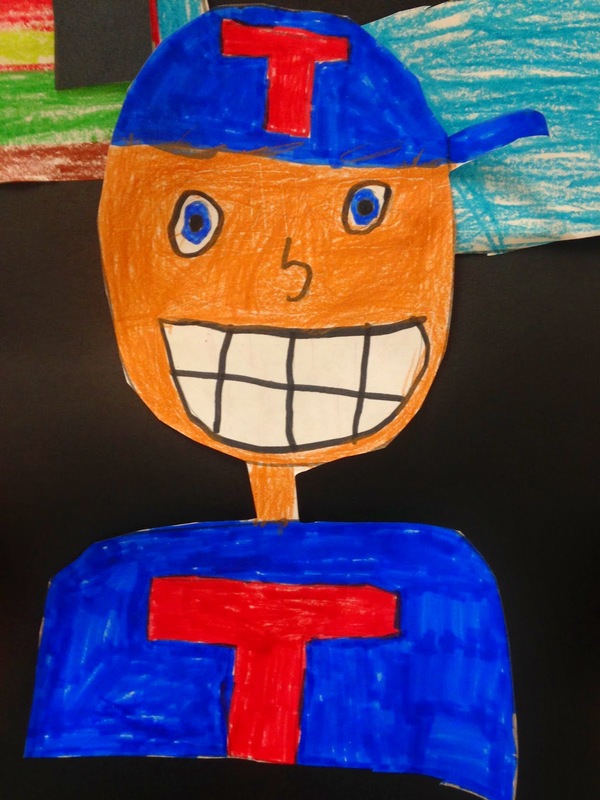 Keep me posted on what great things you are doing with your kids in your classrooms! 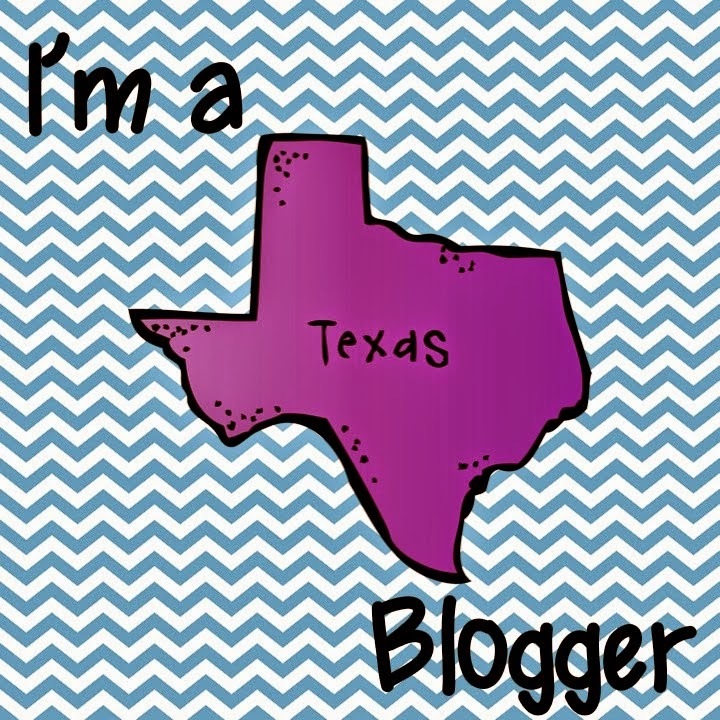 Hi Mindy, I love your blog! I'm currently hosting a giveaway and was hoping you would be so kind to donate a product. It's a fundraiser for Autism that will take place from April 1 -30. Please hop on over to my blog for more info. 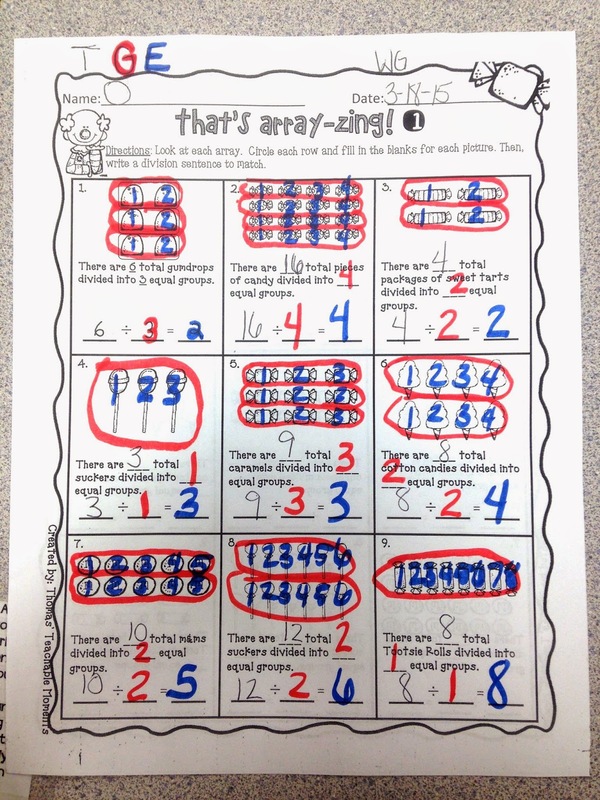 Hi, where do we get the its arrayzing worksheet? really interested! thanks!